For centuries, brick and mortar stores have been the cornerstone of business. Until the invention of online stores, there were no other options for you to choose from to get the things that you wanted and needed unless you could make them yourself. Last year, more than 6,500 businesses in the U.S. alone closed for good. Major chains like Sears, Macy’s, and Toys R Us are struggling, is my industry safe? 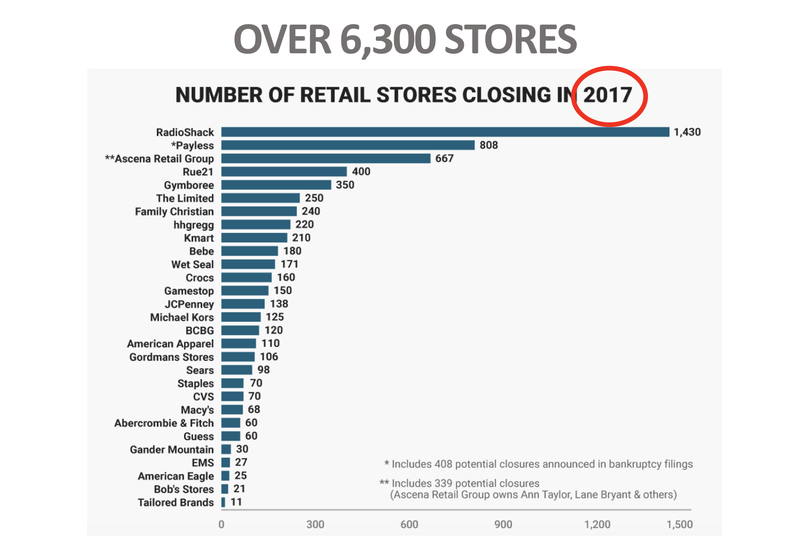 Many people blame the retail apocalypse on the development of online stores like Amazon, but the real reason goes much deeper than that. In fact, online sales may be the key to saving many companies. Here is a look at why brick and mortar stores are failing and how online sales can save them. It is fair to say that a large part of the downfall of brick and mortar stores comes from external problems. The last two decades have seen consistent market volatility and economic downturns. When potential customers experience cash flow issues, that usually becomes a problem for stores as well. Even if people have money, they will save it if they feel that the economy is in a crisis. Because of this, many companies lost a lot of their customers as the overall amount of spending in the country on non-essentials dropped. While external problems contributed to the downfall of brick and mortar stores, it is mostly their own fault. Regardless of what the economy looks like (unless it is the Great Depression or Recession), potential customers still spend money. It is up to stores to find ways of attracting customers. In many cases, stores stopped growing and adapting to make sure that they could survive in a tougher economy. You can see this in constantly increasing prices and poor business practices even when spending started to fall. Companies simply stopped evolving to meet the needs of customers and many companies continued to offer costly and unfulfilling services that customers were no longer willing to pay for. Customers will do what is perceived to be best for them, ALWAYS! We need to make sure that our products/services represent what is best for the customers. Doing what is best for the customers is often what is best for the retailer. To survive in the current economy, online sales can be a critical component in your business strategy. The key is not to change over completely to an online platform, as there is a sizeable segment of the market that still wants to shop for things in person. The key to survival is to combine a stellar retail experience with the support and flexibility of an online shopping experience. Big box stores like Best Buy and Walmart began to follow this model. When you walk into the store, you have access to a wide selection of items that you would not buy without experiencing them in person. This includes expensive items like appliances, cars, computers, and food items to name a few. The brick and mortar store is used as a showroom so that customers can experience each item in detail before making a decision. Then, you can give them the option of buying from a limited quantity on the spot, or shipping to them from, an online platform. The key is to build in flexibility and shared control for your customers. Take nothing for granted and be willing to disrupt your own business. By deliberately disrupting your own business, you will notice opportunities that have been ignored and that are not obvious. This model can be highly successful for bringing in customers and giving them a better experience than your competitors. The better the in-store experience is, the more likely they are to come back and try new products. After the initial purchase, customers may begin to restock from the online platform since they’ve already seen the product. However, your customer experience will inspire them to try your store for new products. Combined with effective pricing strategies, you can secure a segment of the available market in your brick and mortar store, and convert customers into repeat customers by offering more convenience online.